A body of work that examines variations in mundane routines. 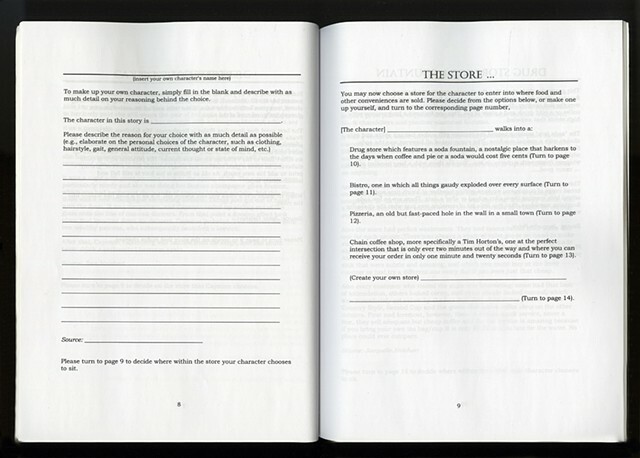 The bookwork uses the conventions of the popular “Choose Your Own Adventure” children’s books in which the reader and their choices create a story. Over twenty contributors offer their perspectives on the story, each person fulfilling a specific choice within the storyline, sharing their unique perspectives to be read and explored. The collaborative approach is also carried through to the images in the book in which a wide range of visual sources are brought together through different print media (mainly screenprinting and digital media).